The Palestinian Detainees Center for Studies issued its monthly report documenting Israeli violations in June, revealing that the army carried out more than 247 invasions into Palestinian communities in the West Bank, East Jerusalem and the Gaza Strip, and kidnapped more than 340 Palestinians.The center said that some of the kidnapped residents have been released after being interrogated for several days, or hours, but the majority remained imprisoned. Most of the arrests have been carried out in the southern West Bank city of Hebron, as the army kidnapped 95 Palestinians. The center further stated that 45 children, and one woman, were among the kidnapped in June, and added that the soldiers kidnapped eight Palestinians in Gaza, including two fishermen. The army also confiscated the fishing boats of the two fishermen. It said that the soldiers kidnapped Palestinian legislator, Abdul-Jabbar Foqaha, 47, and issued a military order illegally imprisoning his under Administrative Detention, without charges or trial, for six months. Head of the Detainees Studies Center, researcher Riyadh Al-Ashqar, stated that the army has kidnapped 45 children, and that the youngest child is Ismael Thiab Ar-Rajaby, 10, who was kidnapped near the Ibrahimi Mosque in Hebron. Another child, identified as Husam Omar Khalifa, 12, from Bethlehem, was kidnapped at a roadblock, and was violently beaten by the soldiers; he was injured and moved to the Hadassah Israeli medical center in Jerusalem. Furthermore, resident Ali Fares Ad-Douda, 65, was kidnapped after the soldiers broke into his home, north of Hebron, and Mohammad Fathy Al-Ja’bary, 55, was kidnapped in the center of Hebron. The Center further reported that two heart patients identified as Wael Sharawna and Monjed Sweity, have also been kidnapped and denied medical attention. A sixteen–year-old, identified as Saja Sweity, was kidnapped in occupied East Jerusalem, for carrying a Palestinian flag. She was interrogated, and violently beaten, before she was released. 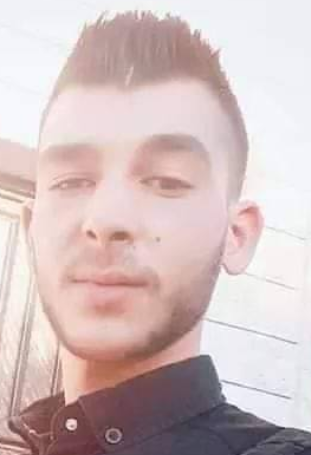 In related news, the Ofer Israeli military court decided to illegally deport detainee Eyad Abu Fannoun, 23, from Batteer town, west of Bethlehem, to the Gaza Strip for ten years. He is still imprisoned by Israel; Abu Fannoun was kidnapped on April 24 2012, and remained imprisoned under Administrative Detention, without charges, since then. Israel did not set a date for exiling him out of the West Bank.